Diminish wrinkles & fine lines, lift & firm skin, reduce discolorations, & shrink pores. The #1 doctor-recommended proven-effective anti-aging serums in existence. Are these Dr. Kim's patients? You know we can't tell you! What we can tell you is this... They eat healthfully, exercise regularly, and use world-class skin care products such as Lifeline® ProPlus+. The only commercially available brand to use anti-inflammatory parthenogenetic stem cells - the most effective stem cell skincare products available. The result is healthier looking skin with markedly less lines, wrinkles, sagging skin, or pigment issues. $340.00All Lifeline® ProPlus+ orders ship free. Highly concentrated with healing & de-aging parthenogenetic stem cells. Reduces wrinkles, sagging skin, discoloration, & more. Each tube lasts for 5-6 weeks. Lifeline® ProPlus+ was developed by a celebrated M.D., Ph.D and is the most effective anti-aging skincare system available. This quick and easy two-part system contains more effective ingredients than any other product in the world. Paraben, Gluten, & Silicone Free. Not tested on animals. Anti-inflammatory parthenogenetic stem cell peptides, growth factors, enzymes, and cytokines are the most advanced & effective way to reverse skin aging. Anti-aging, healing and anti-inflammatory benefits. Improves the health and overall appearance of the skin. Assists with a more rapid recovery following medical esthetic procedures. The Lifeline Propus duo is the #1 stem cell/growth factor product! When compared head to head with it’s competitors including AnteAgeMD, it wins, hands down! Voted best by Truth in Aging. Immediately begins restoring your skin’s ability to heal and regenerate. Absorbs quickly – utilizes nanotechnology to deliver a powerhouse of physiologically balanced stem cytokines™, potent peptides, ultrasomes, and protective antioxidants. Pair with Lifeline® ProPlus+ Recovery Night Moisture Serum for best results. The Lifeline Proplus duo works synergistically to give amazing results. Rich in powerful moisturizers, vitamins, & parthenogenetic stem cell extracts. Wake up to firmer, more radiant, & younger looking skin. Pair with Lifeline® ProPlus+ Daily Defense Complex for best results. Improve skin texture, firmness, & sagging. Reduce pigmentation, redness, & dryness. Pair with Lifeline® ProPlus+ Eye Firming Complex and Lifeline® ProPlus+ Neck Firming Complex to get the full Lifeline® ProPlus+ anti-aging skin care experience. Within 24 hours – reversal of dry skin begins. Within 1-2 week – reversal of skin dullness & texture improvement. Within 2-3 weeks – reversal of redness – including rosacea. Within 4-5 weeks – reversal of fine lines & noticeably firmer skin. Clinical studies recorded a 30% reduction of lines and wrinkles. Within 5 weeks – reversal of melasma – skin pigmentation – common in women post pregnancy. Within 8 weeks – visibly diminished pore size. Within 12 weeks – very noticeably firmer skin. Clinical studies studies measured a 77% improvement in wrinkle length & depth. In comparison with other stem cell skin care products, Lifeline® ProPlus+ products are a completely new way to treat wrinkles, age spots, and lack of skin firmness. No more wasted money with products you layer on top of the skin, hoping it will plump up those wrinkles or fade those age spots. Lifeline® ProPlus+ uses nanotechnology to create microscopic molecules which penetrate the skin, delivering stem cell extracts to the layers of skin where collagen and elastin are made. It’s the only stem cell product line able to deliver the good stuff right to the dermis. In the dermis, where you find collagen and elastin, the stem cell extracts communicate with your skin cells. The result is a proliferation of new skin cells. You will see, based on scientific studies, a 77% reduction in wrinkle length and depth in 3 months. You will see lifting, firmness, toning, and luminescence you haven’t seen for years. In fact, you will see skin that behaves like it did years prior to beginning usage of these Lifeline® ProPlus+ products. 90% of study participants noticed firmer, tighter skin within 3 months. 59% noticed a visible reduction of lines and wrinkles within one month and within 3 months cutometer readings showed a 77% reduction in length and depth of wrinkles. At this time, 87% said that they felt that their appearance was remarkably improved. Apply 2 pumps of the daytime or nighttime serum to a clean dry face*. Neck and décolletage treatment requires an extra pump. Less than two minutes, twice a day, is all it takes to start on an immediate path to looking younger. These highly advanced and smooth-feeling serums absorbs immediately into your skin, utilizing nanotechnology to deliver a powerhouse of Stem Cell Cytokines, Protective Antioxidants, and Potent Peptides. *If you are using Retin-A, you apply that in a thin layer first, then the serum. *If you are using hydroquinone, you apply that first, then the serum. Lifeline® ProPlus+ Skin Care researchers and formulators combined the latest discoveries in the fields of stem cell biology, nanotechnology, and skin products formulation technology to create the highest quality, scientifically tested and most effective anti-aging skincare products. Lifeline® ProPlus+ Stem Cell Extract Serums are the only products in the world that contain human, non-embryonic stem cell extracts. Only International Stem Cell Corporation (Lifeline®’s parent company) has a patented way to take human eggs and stimulate them to begin dividing, without being fertilized. They’re called parthenogenetic stem cells (“partheno” comes from the Greek word for virgin). To produce these stem cells, an embryo is never created, so it’s never destroyed—that’s why it’s an ethical approach to creating stem cells. While the stem cells are still pluripotent, scientists extract growth factors, cytokines, enzymes, and peptides for use in Lifeline® ProPlus+ stem cell serums. Because they’re several generations away from the source, adult stem cells (such as from skin, blood, fat or bone marrow) are far less potent than stem cells closer to the original egg-the parthenogenetic stem cells used in Lifeline® ProPlus+ products. Non-embryonic stem cells are by far the most potent human stem cells that we can ethically use. For more science, click here. Water (Aqua), Caprylic/Capric Triglyceride, Stearic Acid, Butyrospermum Parkii (Shea) Butter, Peptides from Human Stem Cells, Glycerin, Cetyl Alcohol, Glyceryl Stearate, PEG-100 Stearate, Algae Extract, Argania Spinosa Sprout Cell Extract, Helianthus Annuus (Sunflower) Seed Oil, Rosmarinus Officinalis (Rosemary) Leaf Extract, Saccharomyces Cerevisiae Extract, Collagen Amino Acids, Micrococcus Lysate, Phospholipids, Isomalt, Cetearyl Alcohol, Urea, Glucosamine HCL, Ceteareth-20, Niacinamide, Carbomer, Tocopheryl Acetate, Polyvinyl Alcohol Crosspolymer, Retinyl Palmitate, Sodium PCA, Sodium Starch Octenylsuccinate, Calcium Pantothenate, Disodium EDTA, Maltodextrin, Panthenol, Sodium Ascorbyl Phosphate, Lecithin, Ethyl Ferulate, Polyglyceryl-5, Trioleate, Pyridoxine HCL, Ubiquinone, Sodium Benzoate, Silica, Nylon-12 Fluorescent Brightener 230 Salt, Hexylene Glycol, Disodium Uridine Phosphate, Aminomethyl Propanol, Ethylhexylglycerin, Caprylyl Glycol, Phenoxyethanol, Citric Acid. Water (Aqua), Caprylic/Capric Triglyceride, Stearic Acid, Glyceryl Stearate SE, Peptides from Human Stem Cells, Carthamus Tinctorius (Safflower) Oil, Cetyl Alcohol, Ubiquinone, Phospholipids, Vaccinium Angustifolium (Blueberry) Extract, Tocopherol, Retinyl Palmitate, Camellia Sinensis (Green Tea) Leaf Extract, Tremella Fuciformis Sporocarp (Mushroom) Extract, Isoquercetin, Troxerutin, Choline Chloride, Calcium Pantothenate, Folic Acid, Nicotinamide, Pyridoxal Hydrochloride, Riboflavin, Thiamine Hydrochloride, Inositol, Glycerin, Sorbitan Sesquioleate, Sodium PCA, Chlorphenesin, Benzoic Acid, Sorbic Acid, Polysorbate 20, Polysorbate 60, Carbomer, Disodium EDTA, Propylene Glycol, Phenoxyethanol, Caprylyl Glycol, Sodium Chloride, Ethylhexylglycerin, Triethanolamine, Hexylene Glycol. Once I find what I am looking for, how do I buy it? 1. Click on the link that reads “Add To Cart”, next to the item description and price. This will add the item to your shopping cart and this then brings you to the cart page which lists all of the products that you have previously selected. 2. On the cart page, you may change the quantities, and then you’ll need to press the “update quantity” link. Your cart will remain available if you leave the page to add new items and return to cart. 3. The cart page will reload and display the total cost of your order. If it does not, just refresh your browser. 4. Click “Proceed to Checkout”, once you are satisfied with your shopping cart contents. 5. After submitting your order, you will receive an email Order Confirmation. If you have difficulties of any sort just call us at (772) 999-5322. I want to return my Lifeline® ProPlus+ product, can I return it? If you have questions or concerns, please email us or call us at (772) 999-5322. We are very committed to your satisfaction. You may return any unopened item within 30 days of purchase for a full refund. If your opened product is defective upon shipping, do not use it and we will replace it with the same item. We will not charge you any shipping to ship a replacement item. Shipping fees, both to and from you, are nonrefundable, and you will be charged a 10% restocking fee, unless the return was made as a result of our error. Not happy with results? View our money back guarantee. Our products are gentle and effective for all skin types. However, we recommend that any woman who is pregnant or breast-feeding check with her physician before changing her skin care routine. Absolutely and positively yes they can. A man’s facial skin is just as sensitive as a woman’s. Products that claim to be strong enough for a man generally have drying and abrasive ingredients like alcohol, silicone based lubricants, petroleum based skin softeners and harsh preservatives that will dry and irritate the skin. Lifeline® ProPlus+ products are as simple and natural as possible to help fight inflammation and balance the skin. Totally worth it, and had used the regular Lifeline prior to trying this. This for sure has more “lifting” properties;probably same skin re-texturizing, little more fine line erasing;all in all the best stem cell product I’ve tried. It’s pricey but you can make these tubes last 6 weeks if you’re careful. I’m giving it 4 stars only because I think it’s on the pricey side:HOWEVER I’m willing to pay it to look younger and I can’t find it cheaper on the internet so this website is price-fair it seems. Actually let me clarify-I can’t find the PROPLUS at all on the internet or Amazon, etc-only Lifeline regular and it’s the same price as on this website but I’m still going with my 4 stars,LOL. This is amazing stuff and the parent company is here in Russia but I have to stand on head to get some! I LOVE LOVE LOVE Lifeline! I have been a user of the regular serum, but fell so in love only after 2 weeks of the daytime/nighttime proline duo. These are 2 products I will not be without. Dr.Kim was so wonderful in providing me ideas to help with scars and using her techniques plus the LifeLine- wow!! The redness from medication I take daily is gone. My fine lines have diminished tremendously. I can’t wait to purchase the proline eye cream serum as its spectacular too!. Thanks Dr. Kim for a wonderful purchase, your help/ideas and this forum to help with anti-aging! I will be back to purchase again when I run out. The only thing that would make this even better- more discounts/coupon codes. That would be awesome. But the product and its results- are fantastic. I cannot say enough good things. Thanks again Dr. Kim!!! Thank you for such a glowing review and I’m so glad you love these products too!! This is the best skin care serum package. Mild soft and natural smell and makes your skin feel like satin. I have allergies to a lot of things and this has never bothered me. Totally non-greasy feel both day and night. And after just the first week my skin was brighter and more even. Each week I see lines and spots fading. I got the night serum first and saw effects but you are right-you see more results with these two. I’m going to add the eye serum to my next order. 5 star product for sure. I love this duo! I also love that the creators of these serums are extremely knowledgable about skincare actives. I think it may be the only product that acknowledges the difference between inflammatory causing stem cells and anti-inflammatory. Five star product! Wow Stephanie you sound like a skincare professional! Thanks for the review-I of course totally agree!And let me add that they also know about oocyte vs adult stem cell potency! Ok, so I have worked out in the sun in Florida for the last 25 years of my life. Yes, I wear sunscreen, a hat and sunglasses. Anyway, I developed “sun exposure” regions just below the sunglass line, on the top of my cheeks, that kind of bled away as you go out toward the outside of the face towards the ears. Kinda similar to raccoon eyes. Well since using this duo serum twice a day for about three weeks, they are almost gone. I’m totally shocked, especially since it’s still the full heat of summer with my sun exposure(mid August). Dr Kim advocates an “inside out” philosophy when it comes to our skin care and obviously our internal health. I’ve purchased many of her products that are taken internally, so I’m quite sure that has also contributed to my success. I guess what I’m saying is, spend as much as you can afford concerning what she recommends and you will be glad you did. I’ve already ordered my next round of this duo serum, the wife got into and loves it too, even though she doesn’t need it, she swears her skin is softer, probably true, I know mine is. Thanks Dr Kim! We love you. Thank you so much Doug,so nice to have happy clients! I purchased this product to help nourish my skin and to prevent the fine lines and jaw laxity that have been staring to appear at 52. I am also sensitive to many fragrances. This product has met and exceeded any exceptions that I had. 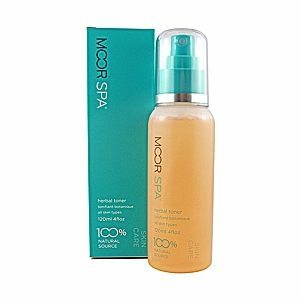 Since, I have purchased several of the products and I have seen the difference in my skin. These products moisturizing & leave my skin healthy, which is remarkable! My skin never looked or felt so smooth and FIRM!! I am so sold on these products I will never try anything else. First things first, I am a licensed Esthetician and Makeup Artist, so I have an in depth knowledge of skincare, and how different product ingredients work on the skin. This is an amazing product! I noticed a difference in the texture of my skin immediately after applying the serum to my face. It leaves your skin feeling smooth and hydrated without leaving any kind of residue or sticky feeling. 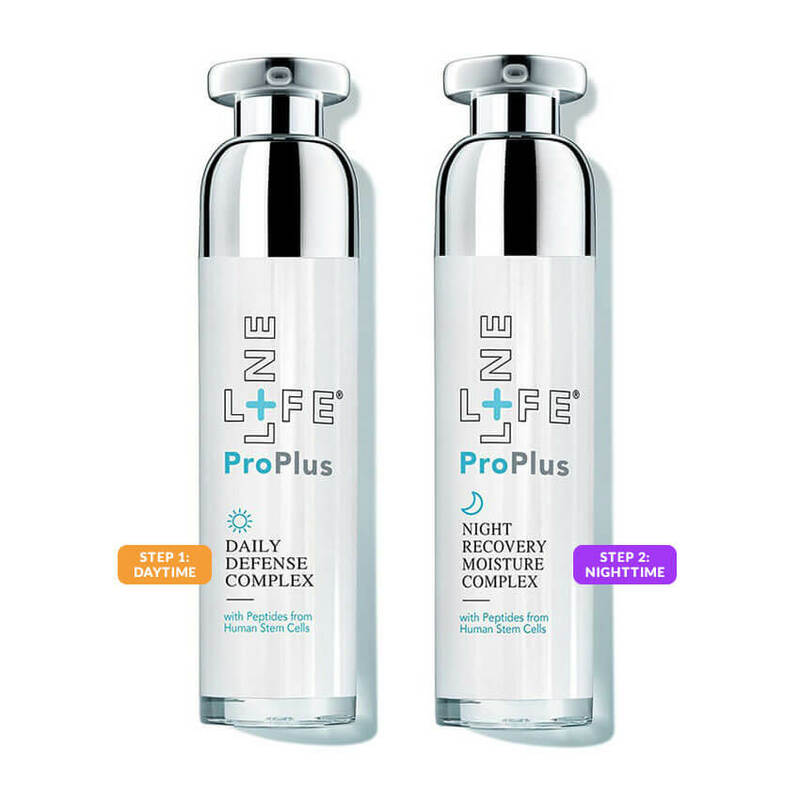 The Lifeline Proplus Duo is great for ANY skin type, and will get you looking glowing and youthful in no time! Amazing product! Exactly 9 days in and I can’t believe the results. My skin hasn’t been this soft and glowing for decades! So so happy, thank you for the recommendation! A couple of weeks using these products and my skin looks beautiful. Fine lines and wrinkles are diminished, tone is more even. Hydrates skin without being too greasy. WOW! Price had me concerned at first. I usually don’t spend so much on a product, but totally worth it. Just incredible difference from what was to what my skin looks like now. Absolutely the best anti aging serum I’ve ever used. And the reviews speak for themselves, go glad that I decided to listen for once and try this. 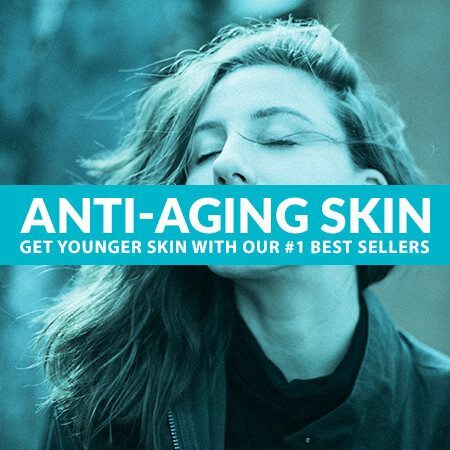 Maybe just the best anti aging product on the market. Amazing products! I look 10 years younger after a month! Beyond amazing! I live in the northeast and suffer from intense dry skin in the winter. The combination of these products not only improve skin texture, tone and hyper pigmentation but serves as an amazing moisturizer. And yes indeed, FIRMER skin! No break outs just beautiful skin! These are the most amazing anti aging skin products I have ever used in my life! I saw results in a week,wow! Anti-aging toner with hyaluronic acid for dryness & pores. For all skin types. 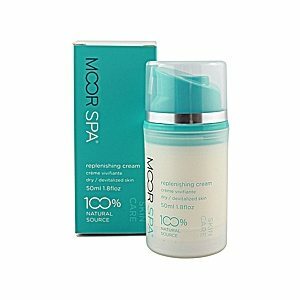 Dr. Kim's best anti-aging products for all skin types - 20% off & free shipping. All kit contents are 20% off & ship free. Anti-aging moisturizing cream for devitalized, aging, or dry skin.